Your privacy is of paramount importance to Higgs and Barker. We will not collect any personal data (ie. name, address, telephone number or email address) unless you provide it to us voluntarily. Please do not provide such information if you do not wish for it to be collected. By submitting your name, address, telephone number or e-mail address, you confirm you consent for Higgs and Barker to occasionally contact you to provide offers, updates or news from Higgs and Barker. 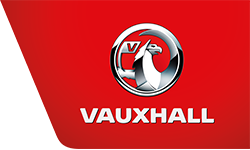 We may receive information about you from Vauxhall Motors Limited and other such affiliated companies provided they are permitted to share your information with us. The information Higgs and Barker receives about you will be used to provide customer service to you, as well as potential offers and updates pertaining to your vehicle and any potential purchases of products or services. The information you provide to Higgs and Barker may be passed on to Vauxhall Motors Limited, Onstar Europe Ltd, RAC Warranties, Motability or, with your permission, to one of the finance companies with whom we work to provide vehicle funding. We will never sell your information on. Higgs and Barker use physical, electronic and administrative means to protect the security of your information. The transmission of information via the internet is not completely secure. Any transmission is at your own risk. Information provided to us is stored on our secure servers. You have a right to access information we hold about you. You can exercise this right in writing to Higgs and Barker, 52-60 Quay Road, Bridlington, YO16 4HX, enclosing a driving licence or equivalent form of identity. You can exercise your right not to process your personal information for marketing purposes. You can do this in writing to us or by ticking certain boxes on forms we use to cllect your information. If you wish for your information to be deleted from our records, please write to us or e-mail us at sales@higgsandbarker.co.uk.